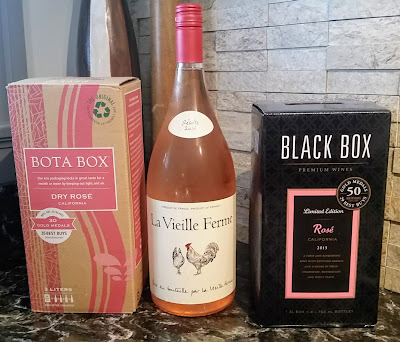 I’ve described any number of wines as Aperitifs – everything from rosé to sherry to bubbly. So, when I’m writing about these things – just what am I supposed to be talking about and why is it something we should be interested in? The word “Apèritif” (uh-pair-uh-TEEF) is a French word stemming from the Latin aperire, meaning “to open.” An Aperitif is a drink (or drinks, depending on who’s serving the chow) taken before a meal to stimulate the appetite. Aperitifs are usually served on their own or with some kind of light snack. Aperitifs should not be confused with appetizers, which are considered part of the actual meal. There’s not one single “traditional” Aperitif – they vary widely by country and custom. You’ll see liqueurs, cocktails, wines, and shots of alcohol used as Aperitifs. Broadly, they tend to employ a bit of bitterness to get the salivary glands working and some sweetness to make the bitterness more palatable. With liqueurs, there’s often a notable herbal component. The most notable Aperitif in the U.S. is probably the martini. In France, anise-flavored liqueurs like Pastis or Pernod (or absinthe, if your tastes swing towards the hallucinogenic) are common. Greece’s most famous is ouzo. Italy brings us Cinzano and Campari if you’re looking at bitter liqueurs; limoncello if you want something a little sweeter. I’ll be honest, though – I’ve tried many of the above bitter liqueurs, and I really don’t much care for them (martinis being the exception). I’ve had some very, very painful experiences with a couple of them as well. (Word to the wise…avoid ouzo. Just stay away.) For our purposes, we’ll largely stick to wine-based Aperitifs. Wines served as Aperitifs are usually light whites. While I’ve written about any number of things as Aperitifs, traditionally, an Aperitif wine is a sparkler. Brut Champagne is a classic Aperitif, as is cava in Spain, but any dry bubbly will generally do. The Sweet Partner in crime and I were a bit peckish one Saturday afternoon. Since I was working on this article and I never need an excuse to crack a bottle of bubbly, I decided to open one to go along with the grocery store sushi I’d picked up while I was out. 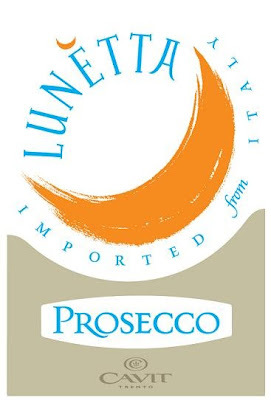 I went with a relatively inexpensive dry Prosecco. Lunetta Prosecco, imported by Cavit, was my choice for the day. It’s a relatively low-alcohol bubbly, so it doesn’t completely fog one’s brain. It’s a very pleasant sparkly sip, crisp and light with a bit of a citrus backbone. With the sushi, a very pleasant sideboard. Didn’t detract from the fish flavor at all and didn’t back down from the wasabi. While sparkling wines are the most fun wines of all, and they’re certainly a great way to kick off a dinner party, you can use just about any light wine here. Think pinot grigio or whites from the Loire like a Muscadet or Sancerre if you want to go the still wine route here. Dry vermouth is also a very traditional Aperitif. I like martinis, and I think a person who eschews vermouth in a ‘tini is truly missing out. But on its own as an Aperitif, I’ve tried it and I wouldn’t put it high on my list of favorites. 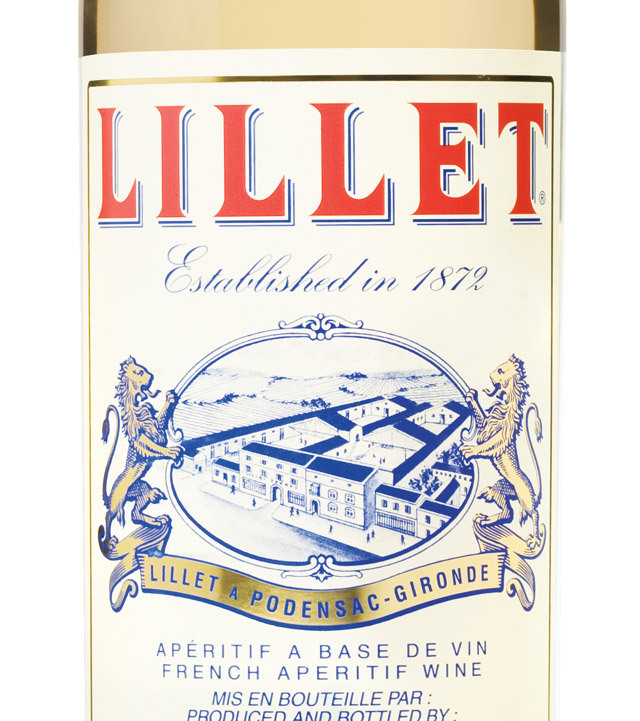 Along the lines of vermouth, there’s a very unique wine-based beverage used as an Aperitif that I’d seen on the shelf at various stores for a long time and always wondered about – Lillet. 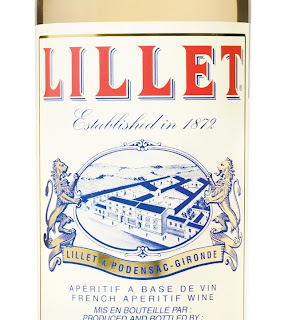 Lillet is around an 85/15% blend of wine from Bordeaux and various citrus liqueurs. There are red and white versions of Lillet, although I’ve only seen the latter. The white is largely a Semillon-based wine while merlot provides the structure for the red. Lillet is served chilled, either refrigerated or on the rocks. I decided to try it in one of the traditional manners: on ice with a slice of orange. (Some use lime or lemon slices.) I braced myself for the bitterness of Campari or Pernod – ready for either an herbal blast or a biting dryness. What did I find? It’s a curious drink. It smells like fresh orange rind and flowers. As I took a sip, It’s a slightly sweet, light sipper, full of citrus. The herbal taste is similar to Chartreuse, although the flavor itself bears no resemblance. While there’s sweetness on the palate, the finish is quite dry thanks to quinine – the same stuff that gives a bite to tonic water. I found it to be extremely pleasant, and I can see how one could certainly enjoy some of this before a meal. Additionally, Lillet became famous in American thanks to Bond. James Bond. In Casino Royale (the book, mind you – not the George Lazenby version), Bond orders a martini made of three parts gin, one part vodka, ½ part Lillet, and a twist of lemon. I couldn’t resist. I whipped one up. That Ian Fleming knew what he was writing about. It’s an extremely tasty version of a martini. Dangerously drinkable. If having as an Aperitif, limit yourself to one of these. I put one away, for scientific purposes, of course…then promptly took a nap. As I think about the everyday implications here – I usually have some kind of pre-dinner glass of wine, and it’s almost always something white and light. I’m often cooking while I’m drinking it, so I’m normally not thinking too hard about the flavors in my glass – and I don’t want whatever it is to interfere with the inevitable spice adjustments that go on while I’m putting dinner together. I’d suggest you keep this in mind as you’re thinking about Aperitifs. This is usually a drink for conversation. People’s minds will be elsewhere, and they’ll often be mindlessly noshing. Whatever you choose, let it be something that pairs easily with almost any food. You won’t go wrong.